At Mirabella Weddings, we like to do things a little differently. 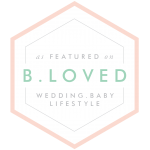 Offering straight-talking, refreshingly honest advice, we take the time to really get to know each and every one of our couples, creating effortlessly stylish but oh-so-fun luxury weddings that really reflect you. But the planning doesn't stop there. Aside from creating fresh, contemporary weddings which ooze class and style, we utilise our extensive travel experience to provide the only offering of its kind in the UK - a full wedding and honeymoon planning service, ensuring every last detail is taken care of to ensure not only an unforgettable wedding day, but the ultimate trip of a lifetime to kickstart married life in style. We fundamentally believe that the most important part of every wedding is not just how it looks but how it feels. Working hard to ensure that every wedding is as unique as the couple sat behind it, at Mirabella Weddings we like to do things a little differently - we plan experiences full of soul, style and substance. 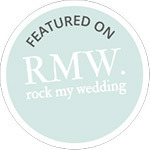 At Mirabella Weddings, we like to do things a little differently. Having been on the bride-side not so long ago ourselves, we found the endless pages of blush colour palettes and people shouting about how 'dreamy', 'swoon-worthy' and 'whimsical' their weddings were, well, all a bit much. Which is why we promise to cut the fluff and tell it to you like it is. Yes, your wedding should be beautiful, no doubt about that. But it should also be a straight-up, honest reflection of you, not to mention one hell of a fun day. After all, if your wedding isn't an excuse for the biggest and best party of all time, then what is?! We create unique luxury wedding and honeymoon experiences for couples who know how to have a good time. Whether a stylish UK celebration or sophisticated destination wedding, we work closely with each of our couples, taking the time to really get to know you in order to deliver a day truly tailored to you. We're here to provide advice and reassurance throughout the process, from the moment we meet through til the last song plays on the dance floor. And if you need help with your honeymoon, the planning needn't stop there... Let us help create a bespoke day-by-day itinerary for the ultimate trip of a lifetime.